As all 12 Louisiana college teams are currently participating in spring practices, that could mean only one thing and that is the upcoming college football season is approaching near. As we continue to wait the days before fall practice, for the next three weeks, we will recap the National Signing Classes for all 12 Louisiana collegiate football teams. Today, we will recap the National Signing Class for the LSU Tigers. In a year in which a lot of the national media has written off Head Coach Ed Orgeron and LSU before the season, the Tigers defied expectations by winning ten games for the first time since 2013. Even though it was a great season for the Tigers, the expectation is always to compete for SEC and national championships. Well, Coach Orgeron and the rest of the coach have carried on the momentum from the previous season with a really strong recruiting class. 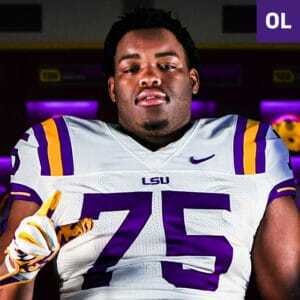 According to many recruiting sites, LSU’s 2019 signing class is among one of the best in the country, and Louisiana Football Magazine’s recruiting expert Lee Brecheen agrees with that statement. Brecheen has watched all of the Louisiana high school signees featured below at one point. Whether it is watching full game film or seeing them in person, Brecheen has gotten the chance to see a lot of these signees play. In today’s college recruiting recap, Brecheen takes a dive in the LSU football program as he gives out his top five players that have a chance to make the most immediate impact, top college transfer, biggest sleeper of the class, potential NFL future players, and also, his final thoughts on the entire signing class in general! Bio: After fellow teammates WR DeVonta Smith and DT Ishmael Sopsher signed with SEC arch rival Alabama in both 2017 and 2019 respectively, the LSU Tigers finally got an Amite High School product this time in another wide receiver named Devonta. At 6-2, 220 pounds, Devonta Lee is a physical speciman that has not only the power, but also the 4.5/40 speed to separate from other defenders, and he showcased those talents quite often especially as a senior. In his senior season, Lee had 42 catches with 22 of those catches resulting in touchdowns. With his size, frame, and ball hawking skills, Lee made his impact as a defender with 55 tackles and seven interceptions. Lee also saved his best performance for last in helping lead the Amite Warriors to the Class 2A state championship with three catches for 118 yards and a touchdown along with an interception returned for a touchdown on defense. 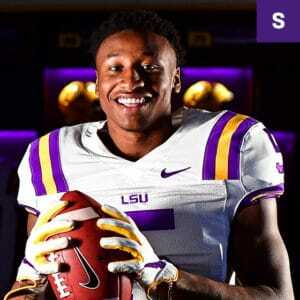 Lee, who was ranked by various recruiting sites as a top ten recruit in the state of Louisiana, chose the Tigers on national television on ESPN over Kentucky and Texas A&M. Bio: LSU has been known for producing some great defensive backs over the years. In fact, the Tigers have been known as Defensive Back University or DBU for short. 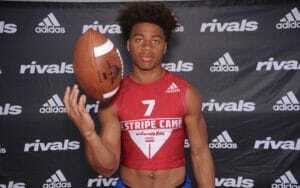 Well, the Tigers got themselves another future great member of that elite fraternity in Derek Stingley Jr. from Dunham High School. 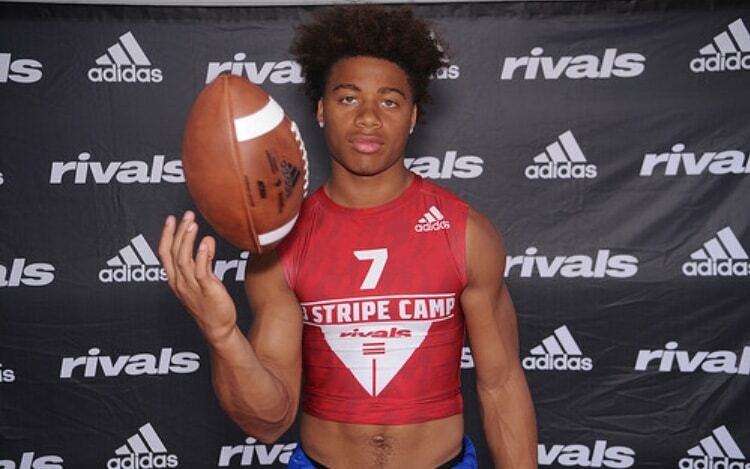 Stingley was born to be a football player as his grandfather Darryl Stingley was an one time first round draft pick with the New England Patriots and his father Derek Stingley Sr. was a longtime Arena Football League player and coach. At the end of his high school career, Stingley Jr. has established himself as the greatest player to ever play for the Dunham High School program. His career at Dunham even started before high school when he found himself starting for the varsity team as an eighth grader. Four years, 29 interceptions, and many highlight reeling plays later, Stingley made himself known as one of the best players not only in the state, but in the entire country. The 2018 Louisiana Gatorade Player of the Year was ranked by a lot of recruiting classes as not only a five star prospect, but also as the number one overall prospect in the country thanks to his freakish athletic ability, football I.Q., and ball skills. For Stingley, LSU was the only option as he committed to the Tigers in the summer before the season. Not only has Stingley signed with the team in December, but he also was an early enrollee. According to LSU defensive coordinator Dave Aranda, he has already made his mark during both Fiesta Bowl and Spring practices as one of the best defensive backs on the team. 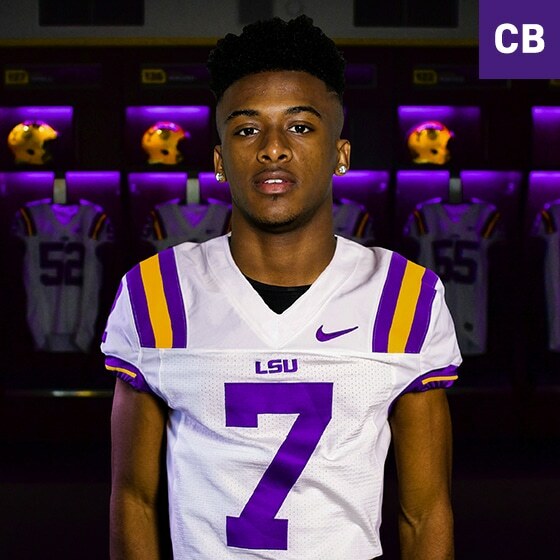 There is a lot of excitement in the air around Stingley as he is considered the biggest signee for LSU since Leonard Fournette (St. Augustine/Jacksonville Jaguars) and the best defensive back prospect to come to LSU since Patrick Peterson (Arizona Cardinals). Bio: Haynesville High School’s three year starter Joseph Evans may have not been as high ranked as other signees from this LSU’s class, but he is just as important in this class trying to fill the team’s needs at defensive tackle. Like other players in this class, Evans is a tremendous athlete as he was not only both a two way starter on both offense and defense for the football team, but he was also a standout track and field performer even receiving a scholarship from Yale to throw the shot put. 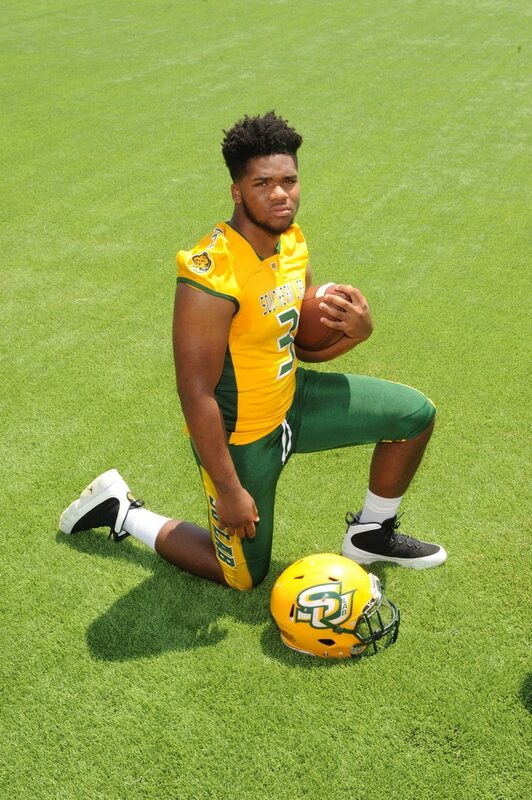 Evans has grown up in a very athletic family as he is cousins with former NFL players Doug Evans (Louisiana Tech/Green Bay Packers/Carolina Panthers/Seattle Seahawks/Detroit Lions) and Demetric Evans (Georgia/Dallas Cowboys/Washington Redskins/San Francisco 49ers) as well as cousins with current Haynesville lineman and LSU commit Cam’Ron Jackson. Evans has also made a little history for one of the greatest Louisiana high school football programs of all time. Despite Haynesville High School’s success winning 17 state championships, which only trails John Curtis High School’s 27 state championships in Louisiana high school football history, the Golden Tornadoes only have produced one LSU signee and that was Kenny Jackson back in 1974. Well, Evans became the second Haynesville player to sign a scholarship with the Tigers since that time. 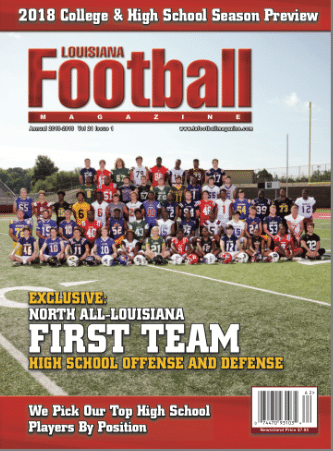 Like Coach Orgeron, Brecheen has always had high praise for Evans putting him on the cover of the North Louisiana magazine, All-North Louisiana team, and the Tiger Rag Dirty Dozen. Brecheen also had a chance to really get to know the three star prospect as he came on the show this past season. Bio: Like stated earlier, the quantity at the defensive tackle position in this signing class may not be plentiful, but the quality is sure there with Evans and possibly the best defensive lineman in the country in Siaki Ika. Ika, who at 6-4, 347 pounds, is trying to block a freight truck. Out of East High School in Salt Lake City, Utah, Ika came out as the number one player in the state of Utah. As a senior, he has shown how dominant he was at the high school level recording 14 sacks and 89 tackles. 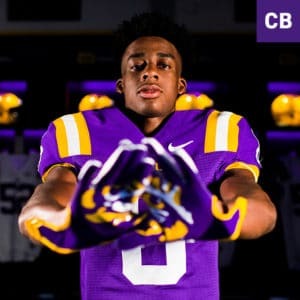 This was one of the biggest wins on National Signing Day for LSU as Ika chose the Tigers over the likes of Florida, Utah, Oregon, and USC. The four star prospect has made a nice transition as an early college enrollee just like fellow early enrollee Derek Stingley Jr. has made an impression in the secondary already. 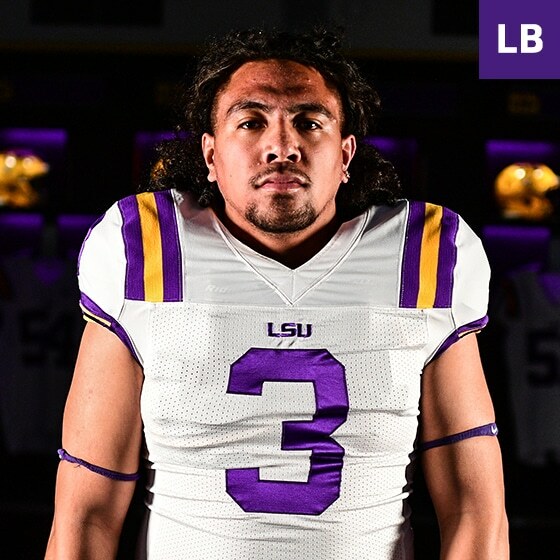 Ika had a dominant performance in his coming out party in the spring game frustrating the second team LSU offense with two sacks and three tackles for loss. It would be no surprise if Ika finds his way into the starting two deep by the end of the year. Bio: Just as Siaki Ika has opened a lot of eyes as an immovable on the defensive side of the football, Southern Lab senior offensive guard Kardell Thomas has earned his reputation as an unstoppable force on the offensive side of the football. 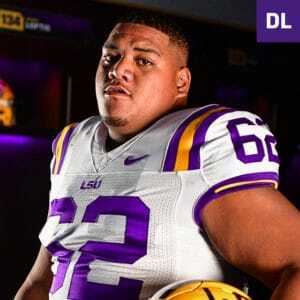 Thomas, who is considered to be the best offensive guard prospect by many to come out of Baton Rouge since La’el Collins (Redemptorist/LSU/Dallas Cowboys) had a similar high school experience as Collins. 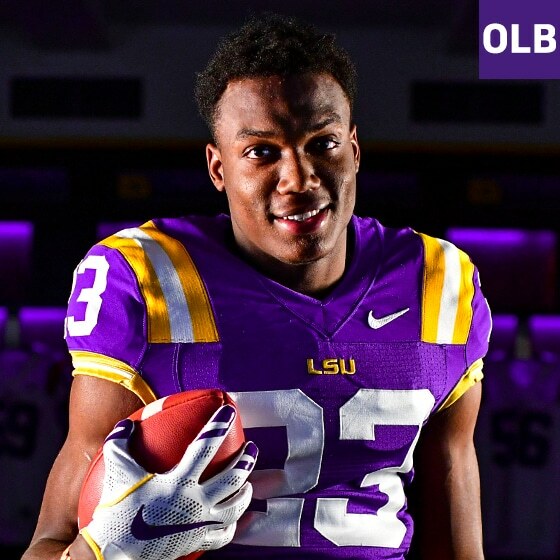 When Collins played his prep football at Redemptorist, he opened up running lanes for his high school and LSU teammate Jeremy Hill (Cincinnati Bengals/New England Patriots). Well, Thomas got the same opportunity to do that with his high school and future LSU teammate Tyrion Davis-Price. At 6-3, 358 pounds, Thomas has the rare ability of not only size, strength, but speed. In one of the many fascinating stories last year, Thomas actually participated in the final leg of 4×100 relay and almost won. It comes to show you how dominant of an athlete he really is. As much as he stands out on the field, he does the same off the field as well with a confident, charismatic, and lovable personality. 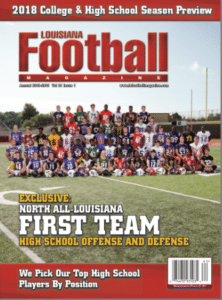 Thomas received many awards and accomplishments over his career including making All-State as well as being on the cover of our South Louisiana magazine issue at the beginning of the season. Thomas has often spoke his mind and even stated that the team was going to beat Alabama his four years there. We will see what happens there, but there is no question that Thomas could have an immediate impact year one on campus. 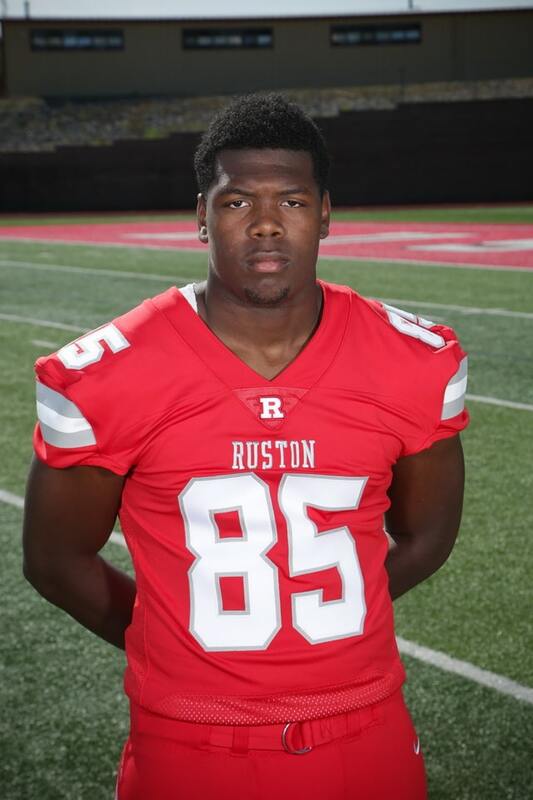 Bio: There may not be a more intriguing prospect in LSU’s signing class than Ray Parker from Ruston High School. 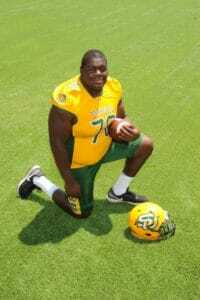 At 6-5 and more than 260 pounds, there are many different positions that the versatile athlete can play including tight end, offensive tackle, and defensive end. During his prep career at Ruston, it was tight end where Parker played the most. In his senior season, Parker caught 22 passes for 360 yards and three touchdowns. 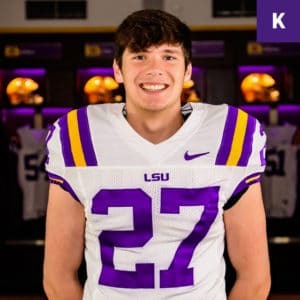 Expected to sign with the Tigers in the first signing class, Parker moved his signing date to the second signing period in order to focus on his school work, and on National Signing Day, the four star prospect was able to do just that by signing with the Tigers in February. With his size, frame, athletic ability, and basketball background, Parker has shown that he can become a great tight end, but at the other hand, he can grow and also become a really good offensive tackle. 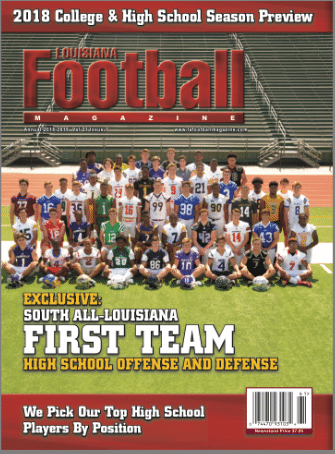 No matter what position it is, Brecheen believes that Parker, who was on the cover of our North Louisiana Magazine preview edition, has a chance to become an All-American player at either position. Bio: It is a good year for the Tigers to go into Utah especially at East High School in Salt Lake City, Utah. The Tigers signed not only Siaki Ika, but his former teammate Soni Fonua. Fonua was one of the top defensive players coming out of high school ranked as a three star prospect. Then, Fonua went on to the junior college level and played at Mesa Community College in Mesa, Arizona. During his playing days at Mesa Community College, Fonua had 114 tackles and four in a half sacks. After two years there, Fonua came out as one of the best junior college players in the country receiving offers from Nebraska, Oklahoma State, Hawaii, and others. However, it was when he received an offer from the Tigers that Fonua committed and eventually signed on National Signing Day. Bio: Like the term DBU is associated with LSU, RBU is also another associated term in reference to the Tigers and for good reason. 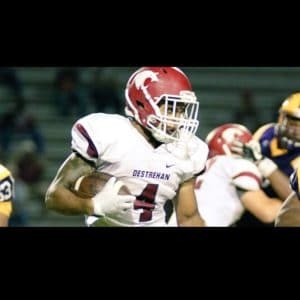 The tradition is likely to continue as the Tigers signed one of the best running backs in the nation in John Emery Jr. from Destrehan High School. 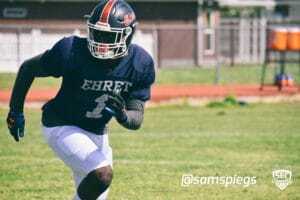 Emery is ranked by many to be the best running back in the entire country as a five star prospect and is the highest ranked signee at the position since Leonard Fournette. Emery received a lot of recognition, but wanted to prove it on the football field his senior year why he is regarded as an elite back. After accounting for over 1,000 yards and nine touchdowns in an injury plagued junior season, Emery came back with a huge season rushing for 1,693 yards and 26 touchdowns leading the team to the Class 5A state semifinals. 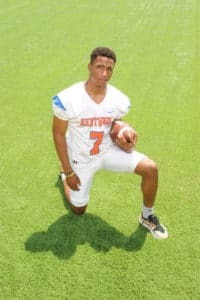 As a one time Georgia commit, Emery withdrew his commitment and ultimately flipped his commitment to the Tigers before making it official signing in the December early signing period. 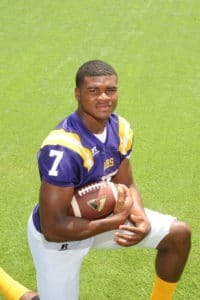 Bio: The Tigers have themselves a potential deadly 1-2 running back duo for years to come in not only John Emery, but Southern Lab’s Tyrion Davis-Price. Even though Price had fellow LSU signee Kardell Thomas opening up holes for him, Price showed why he was an elite running back using both power and speed to go along with an impressive 6-1, 223 pound frame as a downhill runner. As a junior, Davis-Price ran for 1,960 yards and 28 touchdowns. In his senior year, he followed it up with over 2,000 yards rushing and 24 more touchdowns. Tyrion Davis Price was selected on the cover of our South Preview Magazine edition as well as being named on our 1st Team All-Louisiana team along with being on the Tiger Rag Dirty Dozen. 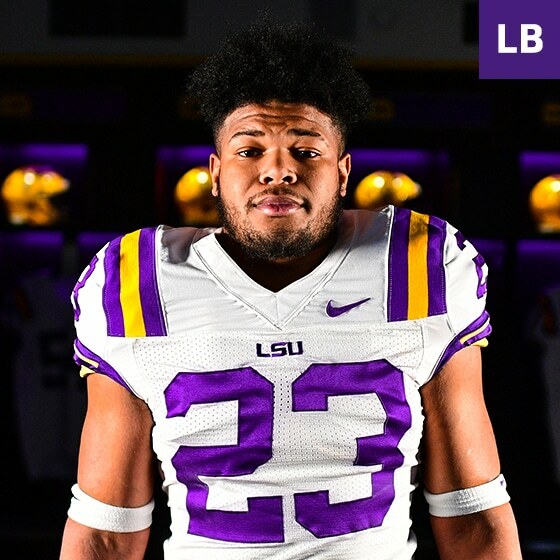 On National Signing Day, Tyrion Davis Price chose the Tigers over the likes of Alabama, Oklahoma, Georgia, Michigan, and others. Bio: John Ehret High School senior LB Donte Starks will join fellow Patriot product Michael Divinity Jr. at LSU. Like Divinity, Starks helped lead a dominant Ehret defense to a deep Class 5A playoff run. 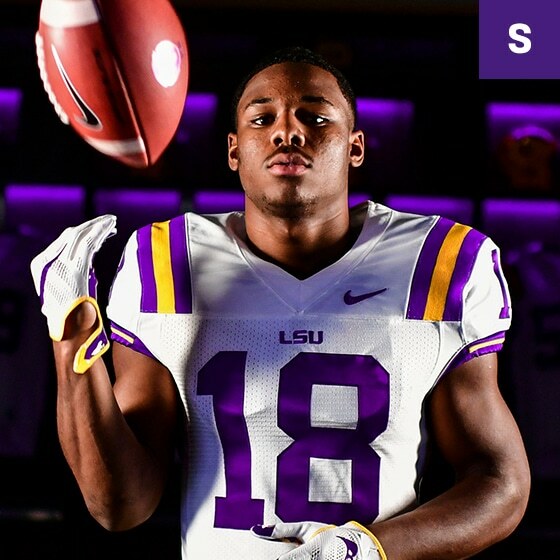 Rated as a top ten player in the state of Louisiana by many recruiting sites, Starks came back to Louisiana after playing his junior season in Mississippi. In his senior season, the All-State linebacker had 129 tackles, 17 tackles for loss, and 7.5 sacks. Starks chose the Tigers over other schools including Auburn, Clemson, Arkansas, Florida, and many others. Bio: The Tigers also got one of the fastest receivers in the country in Trey Palmer from Kentwood High School in Kentwood, Louisiana. As a leader of the Kentwood Kangaroos’ Class 1A state championship team, Palmer had a senior season to remember with 1,008 receiving yards and nine touchdowns on only 39 receptions, which is an average of over 25 yards per catch. Palmer was also a difference maker on the defensive side of the football with 195 tackles, eight tackles for loss, one sack, and one interception as a safety. 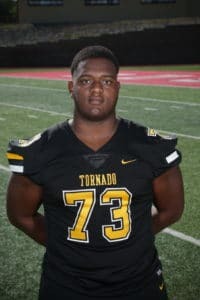 Palmer, who was ranked by many as a top ten player in the state of Louisiana, chose LSU over Alabama, Florida, Mississippi State, and Arizona State among others. Bio: Like Ray Parker, Maurice Hampton Jr. is another one of LSU’s most intriguing signees. However, instead of two positions, it is two sports. Hampton is out of Memphis University High School, which is located out of Arlington, Tennessee. At Memphis University High School, Hampton established himself as not only one of the country’s best football recruits, but baseball recruits as well. 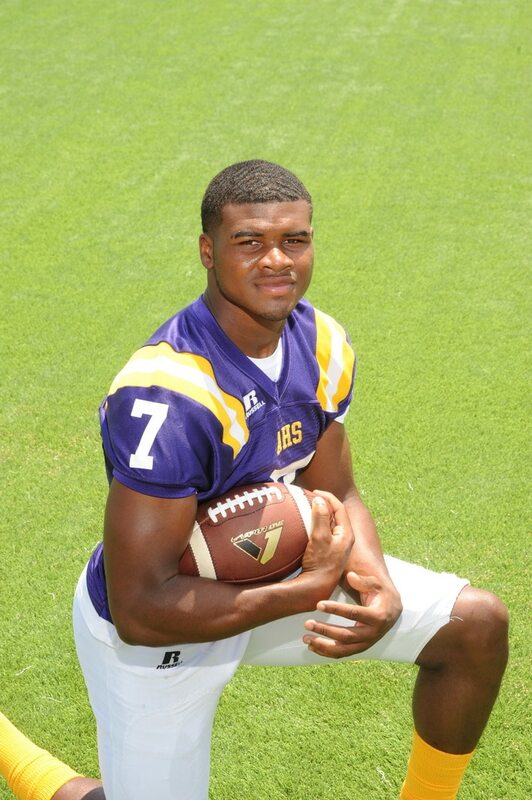 Hampton is such a great athlete that he has received interest from LSU to play both sports. The one thing holding Hampton back is Major League Baseball. The best case scenario for Tigers fans is to see the four star prospect on both the diamond and on the gridiron in the next couple of years to come. Lee’s Scouting Report: “The reason I say is if he shows up at LSU is because Maurice Hampton Jr. may go high in the MLB Draft. If Hampton gets drafted within the first ten rounds, it is most likely that he goes pro. That means he will be getting a half million or more if he goes within those first ten rounds. Everything points to Maurice Hampton getting drafted within the first ten rounds. Like so many others, Maurice would be in the first five that would be in the beginning, but it is very hard to be excited about somebody that may or may not show up. Bio: Marcel Brooks is one of the most freakish athletes in this year’s signing class and he is versatile as well. During his high school career at Marcus High School in Flower Mound, Texas, Brooks showed that he can play many positions including linebacker, safety, and even wide receiver on offense. 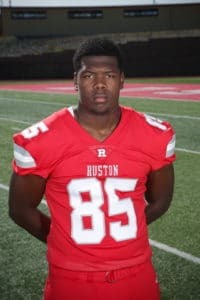 The four star recruit was listed as the number two outside linebacker by 247 Sports, the number three prospect in Texas and the 23rd national prospect. He was also ranked as the number three outside linebacker prospect, the number nine prospect in Texas, and the No. 58 national recruit by Rivals. Brooks chose the Tigers over Alabama and Oklahoma. Brooks has a chance to play both safety and outside linebacker once he arrives on campus. Bio: The Tigers are really loading up in the secondary and with the addition of the talented Raydarious Jones, the secondary just got a lot better. Jones is a very talented defensive back prospect, but for the majority of his high school career at Horn Lake High School in Horn Lake, Mississippi, Jones was the starting quarterback. From that position, Jones was a dual threat in his high school playing days throwing for 1,496 yards and 14 touchdowns along with 1,075 more rushing yards and 13 more touchdowns. Jones also showed that he could win a state championship by leading Horn Lake High School to the Mississippi Class 6A State Championship. The four star prospect had to decide a close call between LSU and Ole Miss, but in the end, decided to choose the Tigers in the early signing period. Bio: The Tigers did not just pick skill positions to, but they also went in the trenches to get some players on the offensive line. One of the biggest names the team got was Anthony Bradford from Muskegon High School in Muskegon, Michigan. As the number 11 offensive tackle prospect in the country and the number three overall player in the state of Michigan, Bradford was dominant as both a left tackle and right tackle protecting the blind side of a quarterback who broke the Muskegon High School passing record. He also won three division-three state titles in Michigan and helped lead Muskegon to a 27-game winning streak. The four star prospect chose the Tigers over the likes of Alabama, Georgia, and Tennessee. Bio: Out of Oxford High School in Oxford, Alabama, the Tigers picked up three star inside linebacker Kendall McCallum. Even though McCallum may not be ranked as high as others on this list, LSU defensive coordinator Dave Aranda was the first one to show interest in the hard hitting linebacker. McCallum also received other offers from other Power Five programs such as Missouri and Louisville before signing with the Tigers in the end. 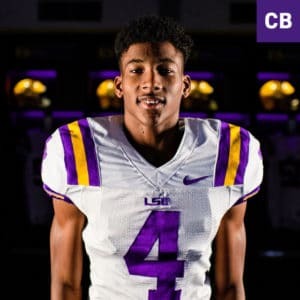 Bio: The LSU Tigers have really racked up at the cornerback position and Jay Ward from Colquitt High School in Moultrie, Georgia is just another example of how talented the secondary is going to be for Dave Aranda’s defense. As a senior, Ward helped lead the team to an appearance in the Georgia Class 7A state championship game. Ward, who is listed as a three star recruit, had an impressive two years with a combined 96 tackles, over 20 pass breakups, and ten interceptions. Ward was also pursued by Florida State, Kentucky, and Texas A&M. 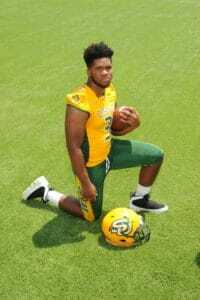 Bio: Out of Vigor High School in Prichard, Alabama is another tall, long, athletic rangy outside linebacker pass rusher that the Tigers would like to use and his name is Desmond Little. At 6-5, 215 pounds, Little’s name cannot be even more ironic as he is a great athlete not only on the football field, but also on the basketball court as well. As a senior, Little was a nightmare getting to the quarterback as he had 14 sacks last season. Little picked the Tigers over SEC schools such as Alabama, South Carolina, and Ole Miss. Bio: After the Tigers graduated one of the greatest kickers in LSU history in Cole Tracy, Special Teams Coordinator Greg McMahon had to find himself a replacement to the All-American kicker. Well, Coach McMahon went to Prosper High School in Prosper, Texas in order to get one of the best kickers in the entire country in Cade York. Once York arrives on campus, he will be the favorite to fill in the shoes of Tracy. York gave a sneak peek of what he is capable of in the Under Armour All-American game when he made a 59 yard field goal. Bio: Stop if you heard this from me before, but the Tigers, once again, signed a very talented defensive back. Cordale Flott from Saraland High School is another signee from the state of Alabama. 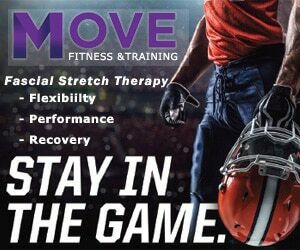 Flott is born in a family full of talented and successful football players such as his brother, WyDale Flott, who is a defensive back at Southern Miss, cousin Bobby Flott, who plays football at South Alabama, and cousin Velus Jones, who is a wide receiver at USC. As a senior, the three year starter had 31 tackles, three forced fumbles, six passes deflected. As a three star prospect, Flott chose LSU over the likes of both Florida and Ole Miss. These are just some of the names of guys that can potentially be NFL players, but I do believe that everybody in this class does have a shot at making next year’s class.